GROUND FLOOR comercila space- office of 35 sq.m in the main street of Argostoli. 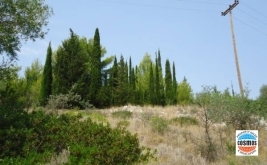 Plot of 264 sq.m with building permission and fantastic view of the town. HOUSE OF 75 SQ.M WITH PLOT OF 216 SQ.M WITH AMAZING VIEW! Furnished luxury Ground floor apartment of 53 sq.m in farsa with amazing sea view! !